Raymond Lance Robinson (Briggs) - Kelsey's biological father - Lance changed his name to Briggs shortly before marrying Raye Dawn. This is a mugshot of him that was featured in an article that was written when he was arrested for his second and third counts of domestic violence in 2006. The day Lance first met Kelsey when she was three or four months old he told Raye Dawn after meeting and holding Kelsey for the first time, "IT will have my last name and I will claim IT on my taxes." Raye reminded Lance, "She has a name and her name is Kelsey." Following is an excerpt from Judge Craig Key's book, A Deadly Game of Tug of War: The Kelsey Smith-Briggs Story. "I forced myself to go to work the day after Kelsey died. The last thing I wanted to do was deal with people’s problems, but I felt obligated to do my job. The sheriff called me into his office that afternoon and informed me they had talked to Lance Briggs the night before to tell him of the death of Kelsey, and that he was in Fort Benning, Georgia. The sheriff indicated that Lance was in some type of a treatment center, and that Lance had made threats against my family and me. At that point, the sheriff was concerned because he told me he had spoken to people who were concerned with Lance’s mental instability. The death threats that were made had come directly from Lance. It was a threat against my children, as well as the supervisor for DHS and his family. “I don’t put much stock in that. He’s just upset and talking irrationally.” I responded. But he told me there was little or no doubt that he had a fear for my children’s lives and he wanted to put a deputy outside of my house and for me to get my children placed away from me. Death threats on an attorney or a judge occur on occasion. Typically, they are not taken seriously. However, what convinced me to take action as a result of this threat was when I received a call from an OSBI agent, who confirmed what the sheriff had told me. DHS received the same information regarding Lance’s threat. 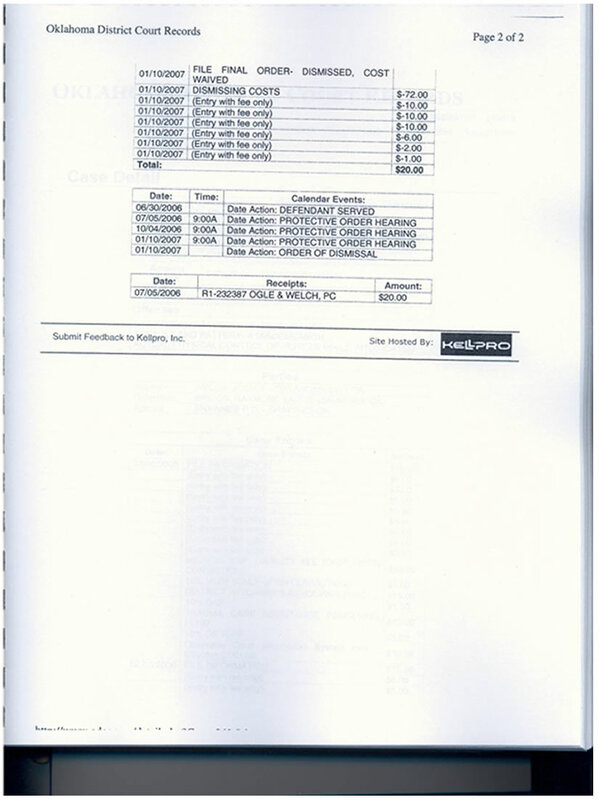 In order to protect their staff, the office of the Inspector General was dispatched to the Lincoln County DHS office. I knew of Lance’s past history of domestic abuse, and with his current mental state, I chose to not take a chance with my family." 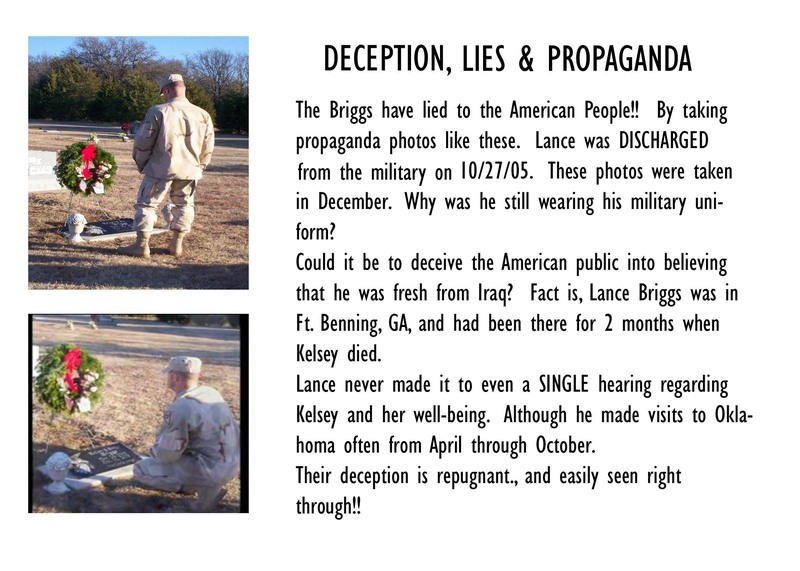 Lance was NOT in Iraq during the custody hearing in February, 2005, he was in Shawnee, Oklahoma, but didn't go. 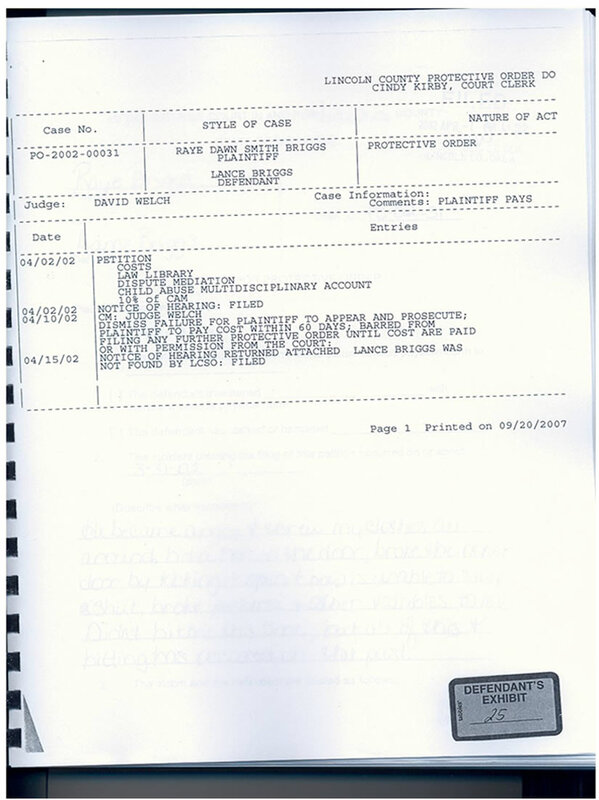 Lance was NOT in Iraq from January to May of 2005, but he never met with DHS about his daughter's welfare and when DHS asked to meet with him when he called in a report, he said he'd have his mom take care of it the next day. 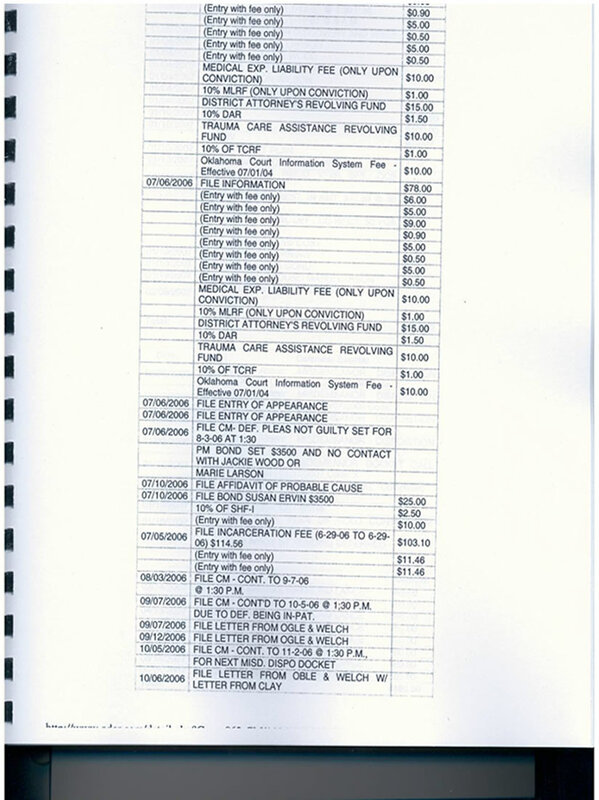 When DHS wanted to meet Lance at Kathie's home to discuss the welfare of Kelsey, Kathie told the worker that Lance decided it didn't concern him so he went about his day. That is exactly what I was told when I contacted the Red Cross to get Lance home on a hardship. As long as Kelsey was with a family member he could not return. The Army has little mercy for the problems on the homefront while you are at war. That is why we shielded him from all of the information going on here. There was nothing he could do and it would have been cruel to allow that to happen. Not to mention the danger it would have put him and his fellow soldiers in. This video was not among the exhibits, but it shows the destruction Lance caused when he broke into Raye's home on multiple occasions. Notice in the video that none of Lance's items were touched. 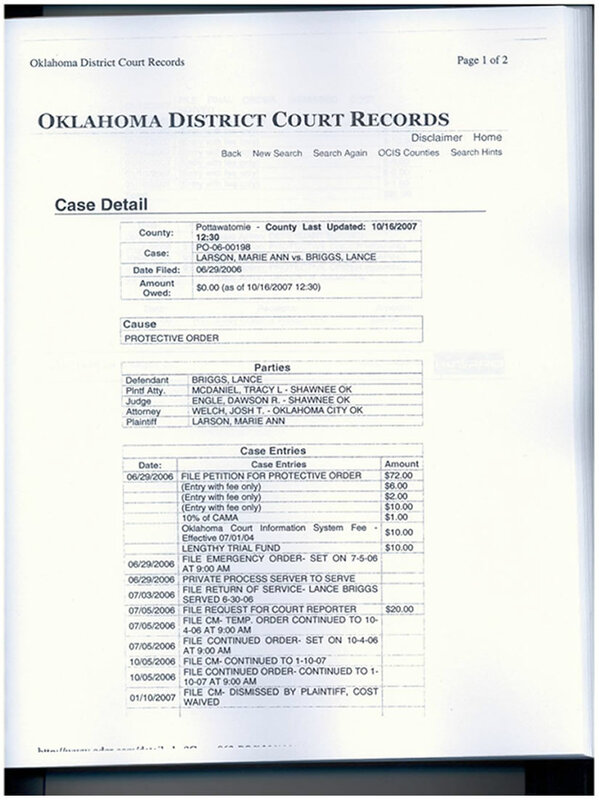 This is from police reports that tie into the next video of another time Lance destroyed Raye Dawn's home. A police officer discovered the mess because Raye Dawn had been staying with her parents because of a gas leak and she was afraid of Lance. The father of a 2-year-old toddler who died in October 2005 of alleged child abused has been charged with two counts of assault and battery and another of actual physical control of a vehicle while intoxicated. Raymond Lance Briggs faces misdemeanor charges of assault and battery, as well as a charge of actual physical control of a vehicle while intoxicated, after an altercation with his ex-girlfriend last week. Briggs, 29, was arrested on June 28 after showing up at the home of his ex-girlfriend, Marie Larson. 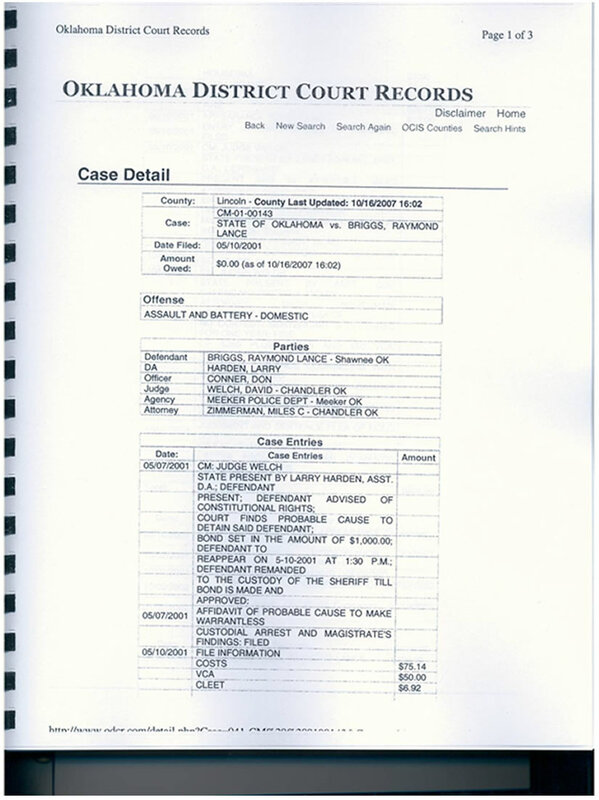 The police report shows he pulled her by her hair through the front door and also pushed Larson's friend, Jackie Wood. Police arrived at the scene and found Briggs in his pickup truck with the keys in the ignition. 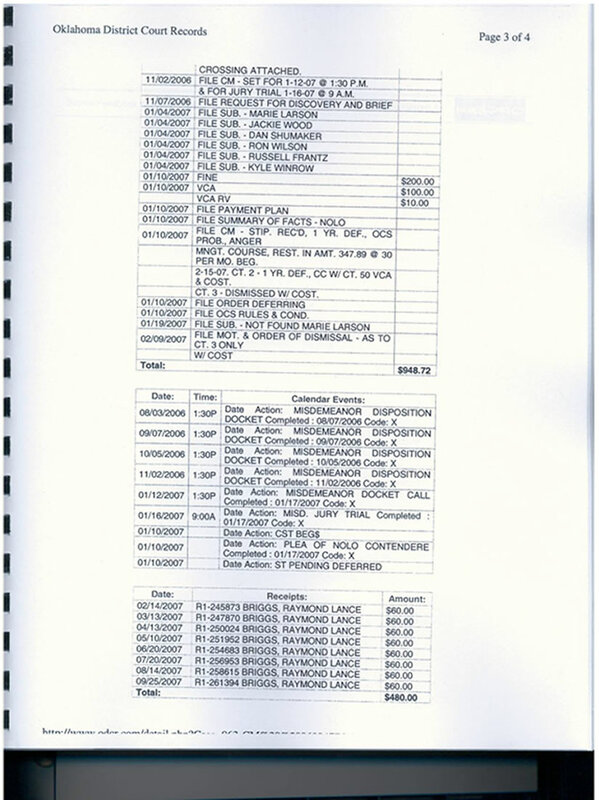 The police report shows that Briggs had an odor of alcohol on him, as well as slurred speech and red, watery eyes. He was arrested on the scene for domestic violence and APC. Briggs will face two counts of assault and battery and one count of APC. Briggs is the father of Kelsey Smith-Briggs, the 2-year-old Meeker toddler who died of alleged child abuse. Her stepfather, Michael Porter, has been charged with the death, and her mother Rae Dawn Smith has been charged with enabling child abuse. Raymond Lance Briggs, the man Oklahomans know as the father of a slain Meeker toddler, was arrested Wednesday night on an unrelated domestic abuse complaint following a series of events at a Shawnee home. Shawnee police responded to a fight in progress Wednesday night at a home on East Drummond Street. Reports of prior domestic problems apparently escalated at the home of Briggs' former girlfriend. The 24-year-old woman told police she and a friend were sitting on the couch when Briggs, 29, came over and dragged her out of the house by her hair, said Shawnee Interim Chief Wayne Crall. The incident reportedly occurred after she answered the door. During the altercation, the front door was busted and front windows broken out, the report said. The woman alleges she and Briggs parted two months ago and that he had been stalking her, the report said. She reportedly has bruising from Wednesday's incident and her female friend also was reportedly shoved into broken glass when she tried to help, Crall said. A police report shows that Briggs and his friend, Randy Flick, 36, told authorities that they had been assaulted by the two females at the residence. Briggs reported he was assaulted while sitting in his vehicle by being struck on the side of head. Police found Briggs sitting in his pickup with the keys in the ignition. The report shows he had an odor of alcoholic beverage on his person, along with red, watery eyes and slurred speech. He was arrested at the scene on complaints of domestic violence and APC -- being in actual physical control of a vehicle while under the influence of intoxicants. The report shows that Briggs told officers that he put the keys in the ignition to roll down his window to talk to police. Following his arrest, Briggs was booked into the Pottawatomie County Public Safety Center and consented to a breathalyzer test. That test revealed a .08 alcohol concentration, which is the legal limit for being drunk. Randy Flick also was arrested at the scene on complaints of disturbing the peace while being drunk and disorderly and on a complaint of possession of marijuana after police found a leafy substance in his shorts pocket. Briggs appeared before a judge Thursday and was released from jail after posting a $3,500 bond. He was ordered to have no contact with the former girlfriend. Late Thursday afternoon, the former girlfriend filed an Emergency Protective Order against Briggs. 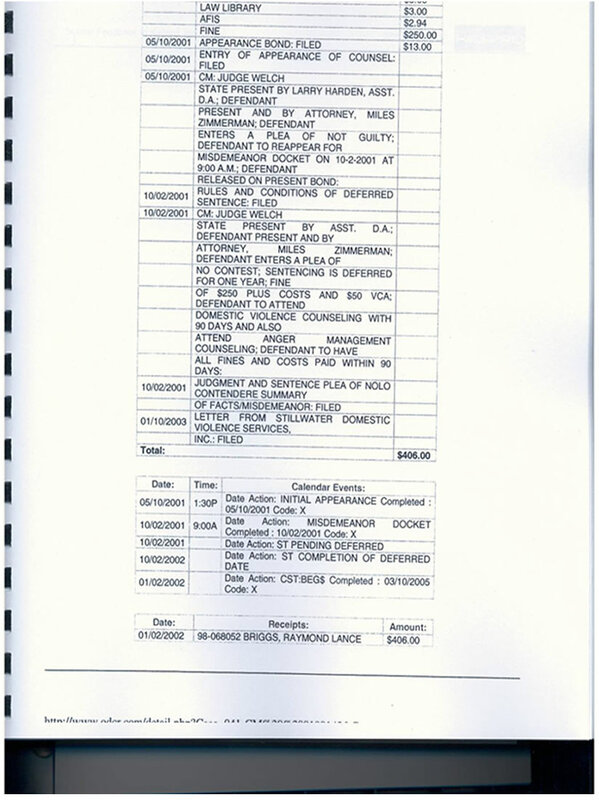 In that EPO application, the woman alleges that she and Briggs were in a dating relationship. She alleges he came into her home and pulled her out of the house by her hair, going through the screen door. During the alteration, she alleges that Briggs said he was taking her to the lake, but police intervened. She also alleged in the EPO application that Briggs has a gun that he keeps in his truck. The EPO was temporarily granted and both parties are scheduled to appear in court for the EPO matter on July 5. Oklahomans have come to know Briggs as part of an unrelated case involving his daughter, Kelsey Smith Briggs, the 2 1/2 year-old Meeker toddler who died Oct. 11, 2005, of suspected child abuse. Kelsey's stepfather, Michael Lee Porter, is charged with first-degree murder in Kelsey's death. 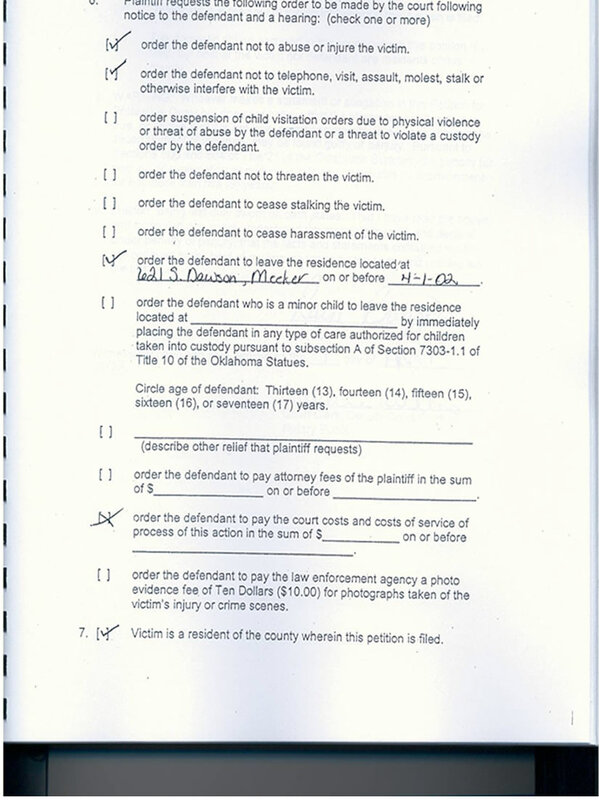 The child's mother, Raye Dawn Smith, is charged with enabling child abuse. 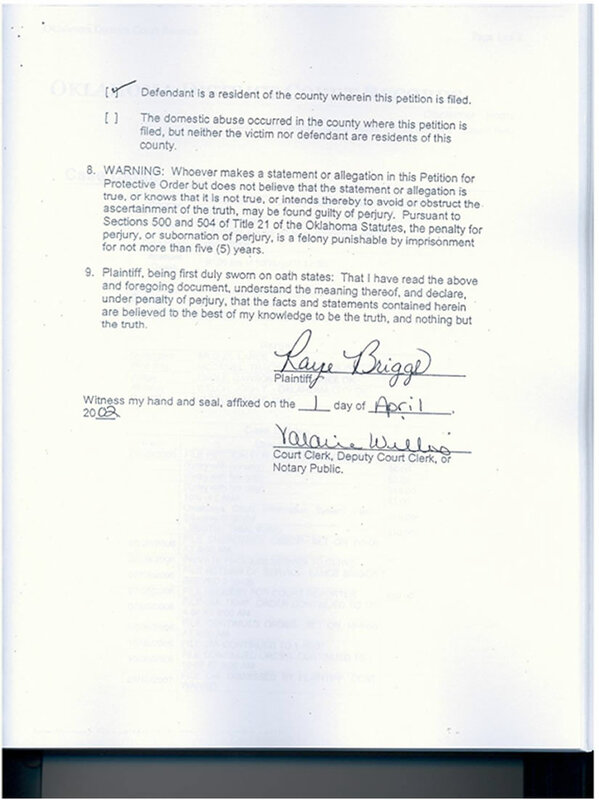 Court records reveal this unrelated arrest for Briggs is his second for domestic-related issues. In a 2001 Lincoln County case, he was charged with misdemeanor assault and battery, domestic abuse. He pleaded no contest in that case and received a deferred sentence. Chief Crall said the police report and evidence surrounding Wednesday's incident in Shawnee will be forwarded to the district attorney's office for consideration of any formal charges. Attempts to contact Briggs for comment were unsuccessful. SHAWNEE (AP) -- A one-year deferred sentence has been handed down to the father of child abuse victim Kelsey Smith-Briggs in an unrelated domestic incident with a former girlfriend. Lance Briggs, 29, of Meeker, pleaded no contest Wednesday to a misdemeanor assault and battery charge filed in Pottawatomie County District Court following the incident. Briggs reached a plea agreement with prosecutors after a May 28 incident at the home of Marie Larson, 25, of Shawnee. Special District Judge Dawson Engle ordered Briggs to pay $250 in court costs and fines, and repay Larson $347 for windows Briggs was accused of breaking in her home. A court order states Briggs must attend an anger management course and not drink alcohol or use illegal drugs for one year. Larson said Briggs should have received a heftier sentence, considering he was convicted in 2001 of assaulting his former wife, Raye Dawn Smith. In that case, Briggs was given a one-year deferred sentence and ordered to attend anger management classes and domestic abuse counseling. "I think people feel sorry for him," Larson said. "That's why he got off so easy." Assistant District Attorney Sunne Riedel Day said she felt the plea agreement was fair. If Briggs slides on the court's conditions, he can be locked up in county jail for as long as 90 days. He also is ordered to stay away from Larson. Briggs' attorney, Josh Welch, said there was no admission of guilt from Briggs, and that he expects the charge to be dismissed in one year. Welch said Briggs accepted the plea agreement because he wants to put the incident behind him. Larson claimed Briggs broke through her front door and attempted to pull her outside by her hair. A friend of Larson's also was cut. Larson had accused Briggs of pushing her friend into a pile of shattered glass from the windows. Briggs is a witness in the murder case against Michael Lee Porter. 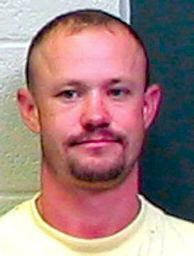 Porter is accused of killing Briggs' stepdaughter, 2-year-old Kelsey Smith-Briggs, on Oct. 11, 2005. Prosecutors allege Kelsey died after being hit in the stomach. Porter is charged with first-degree murder. Smith, Briggs' ex-wife, faces charges of enabling child abuse and child neglect. Briggs filed a lawsuit in May against the state Department of Human Services, its director and social workers, blaming a systemwide failure for the 2-year-old's death. 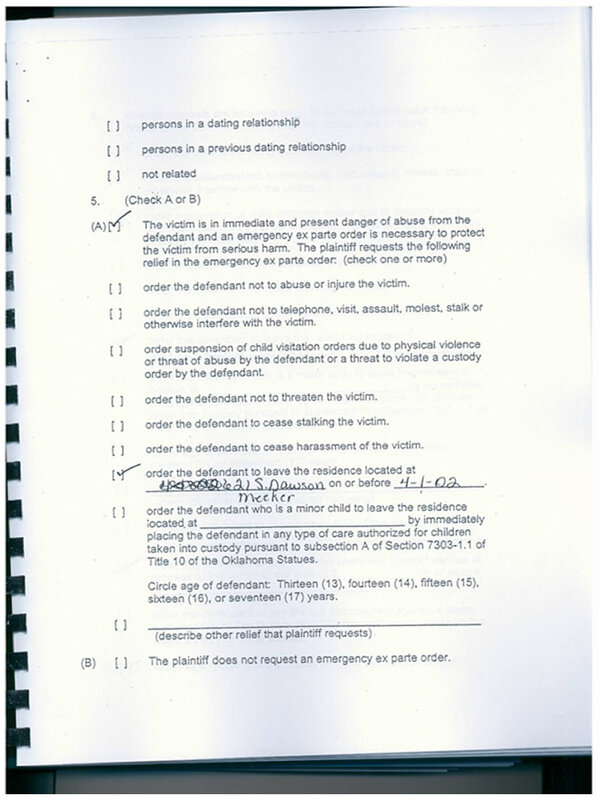 He also is suing two Shawnee physicians, claiming they failed to recognize and report Kelsey's abuse. Last year, the Legislature passed the Kelsey Smith-Briggs Child Protection Reform Act, which strengthens training of court-appointed child advocates and makes judges more accountable for their rulings in child-placement cases. 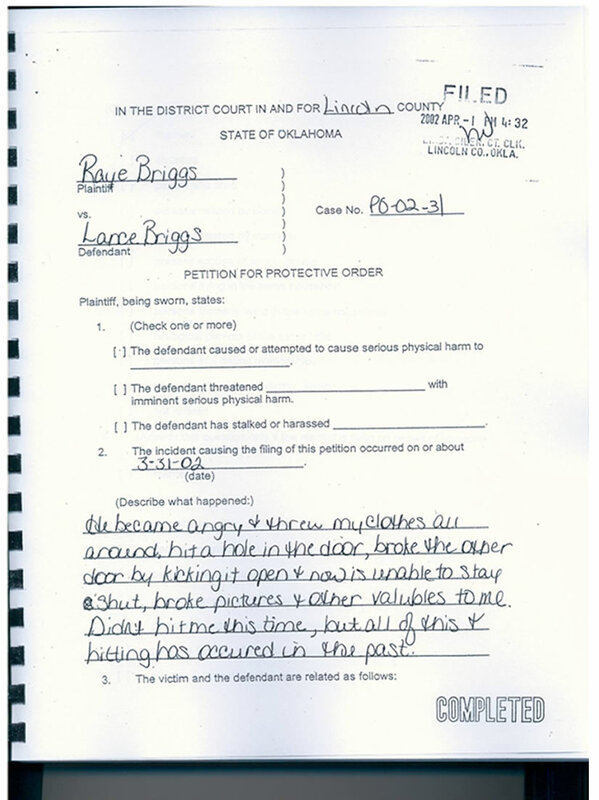 Raye Dawn was abused by Lance Briggs. She was in a pattern of abusive relationships, and did not recognize that Mike Porter was a silent abuser. 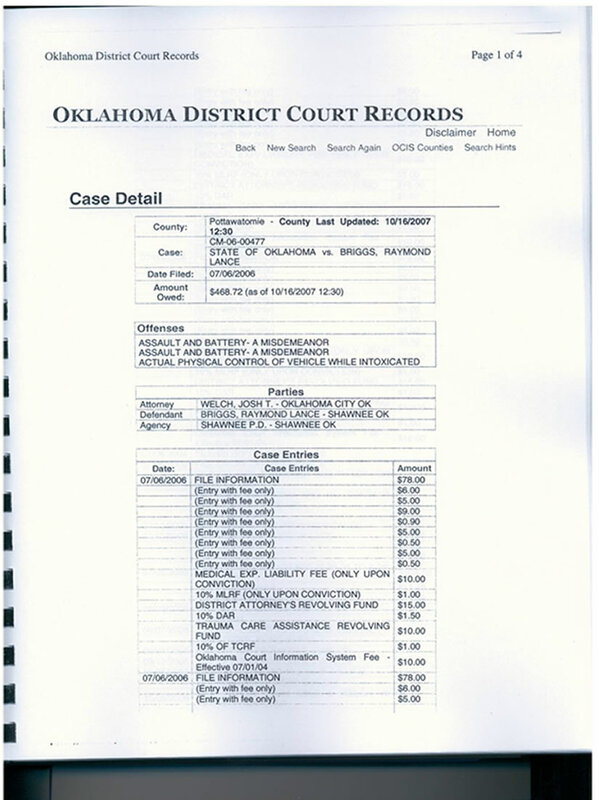 She is entitled to a second trial-a trial that conforms with those rights and privileges she is granted under the United States and Oklahoma Constitution. Or you can make your donation via Paypal by clicking the button below the amount you wish to donate. Paypal is a secure site and you don't need a Paypal account to donate through them. * Please note that your donation is not tax deductible, as we are not a registered non-profit organization.